The Microsoft Corporation released their latest desktop operating system (Windows 10) last week. Windows 10 new graphical interface is most like Window v8.1 – so if you’re using Windows v8.1 today, it’s a (FREE) easy upgrade to download from the Internet. Not much time needed to get use to the newer interface. If you’re an experienced Windows 7 User…you can get a (FREE) upgrade too, however expect a steeper learning curve than your friends already using Windows v8.1 Just (Click-On) the graphic below. Windows 7 Users…. (what they wont tell you) is that Windows 10 brings back the Windows “start button” HOWEVER…it’s “backwards”. This will drive Windows 7 Users crazy till you get use to it….Left Click, Right Click – Your Start Button? They’re reversed in Windows 10…You can still claim your good old desktop back, with the icons you’re familiar with..but watch out for that new (blocky interface) – pressing your keyboards ESC key will usually bring you safely back to your desktop. Students headed to College…ECT recommends you send them off with Windows 10. Teenage students should not have any trouble adapting to the new User Interface. Something Cool and New for Windows 10? It’s called “Satechi Bluetooth Cortana Button. $23.00…but it’s not quite shipping yet. This Bluetooth connected “button” can stick to your Monitor and it allows you to TALK/Issue Voice Commands to your Windows 10 computer. (Click On) graphic to learn more. Folks using iPhones have used Apple’s Siri (voice command) for some time. This similar Bluetooth voice technology will be available soon for Windows 10 – at a very affordable price. Bottom Line on Windows 10: If you’re a user that likes using the “latest and greatest” then upgrade. If you’re a comfortable (happy?) Windows 7 user…the ECT does not believe there is an overwhelming/compelling reason to upgrade – from the User Interface perspective. If you’re sending students off to college…it’s probably best to send them there with a Windows 10 laptop. Hungry for some – Real Science? Perhaps it’s time to organize an Eagle County Field Trip – to enjoy some Field Theory. We just have to jump in our cars for a bit – to arrive at the location where we can – Aspen. 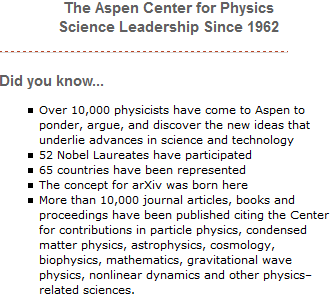 The Aspen Center for Physics just announced their Winter Schedule of Physics lectures for 2015. (Click Here) for their new Winter Schedule of lectures! Don’t Worry! The Public Lectures go real easy on the Arithmetic! It doesn’t matter if you’ve never taken your first derivative (partial or otherwise) – the public lectures are organized to inform on recent topics in Physics – not to confuse. A background in clear thinking is helpful as terms like “ECO”, “Global” and “World Class” are terms – not used very often by this group of Scientists. That’s because these folks – are the real Scientists. 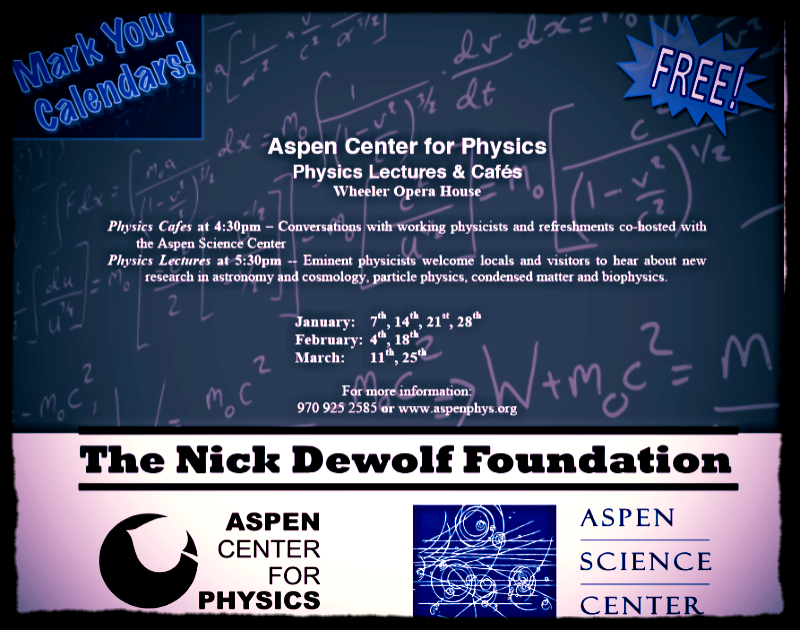 The FREE Public lectures are delivered at Aspen’s downtown Wheeler Opera House…but be aware – while the secrets of our Universe are revealed at these Lectures – the Physics of “where to park” in Downtown Aspen (during Ski Season) remains an unsolved problem – by the 52 Novel Laureates that have participated, so far. Car Pooling it seems, is still their recommended Space-Time solution. It’s a well known technology fact – that the Battery Life of Apple’s iPhone 5, Stinks! All you have to do is put in your iPhone 5 Serial Number and press ‘Submit’. You can find your iPhone 5 serial number here – Settings, General, About and just scroll down to the field that says…’Serial Number’. Simple enough – even an elected official should be able to handle that! Good Luck! Our iPhone 5 (with it’s poor battery) didn’t qualify. Did you know that civilians here in Eagle County, Colorado today – are tracking in real-time Aircraft flying over our own airspace, here at home? Tracking is done here using a Radio Technology called ADS-B/Mode S.
This real-time in flight technology (used in Eagle County today) can be seen on your computer by – (Clicking Here) or just click on the graphic above. If you’re a technology interested individual and are interested in learning more about Radio Technology – you can visit the local Amateur Radio web site and leave your name and email address (Click Here). Knowledge of this technology makes reading these reports on the missile system that shot down the Malaysia Airlines flight – much easier to understand. It’s free. That is if you have an iPhone. Of course your iPhone needs to be a 3G or 3GS, these are the second and third generation iPhones. 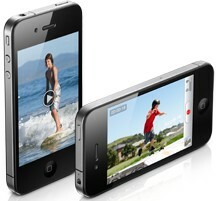 The original iPhone won’t run the latest free Operating System (iOS4) from Apple. Make sure you do a ‘sync’ first when your iPhone is connected to Apple’s iTunes software – then apply the free software upgrade to iOS4. iTunes will automatically download that free upgrade from Apple. Yes, Apples iOS4 is the new operating system that was released last week with Apples 4th generation iPhone. The new free software is pretty cool and should keep you happy ’till your new iPhone arrives – next month – if you ordered yours online too. The Kemosabi too busy to stand in line at an Apple store. Missing though, was any good documentation on the new features of iOS4, so the ECT offers this 4:11 CNet video – as a demo of some of the new features. It’s the best video guide the ECT has found so far! Just when you thought you’d never be a CenturyTel/CenturyLink customer!